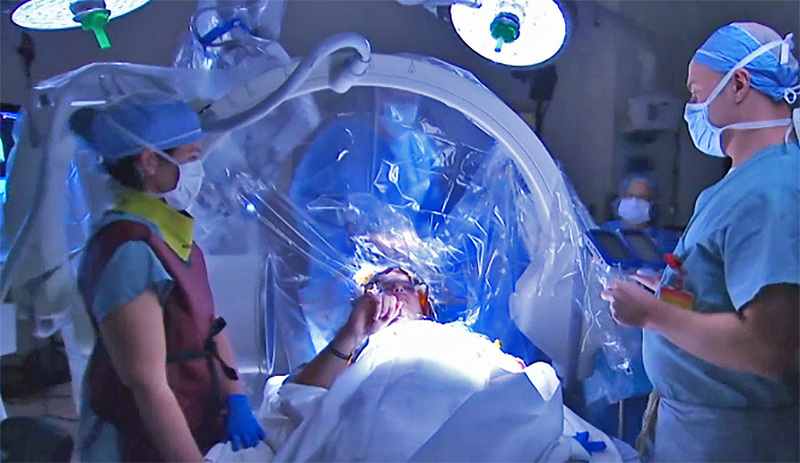 For the first time ever in US television history, the National Geographic channel broadcasted brain surgery live from the operating theatre on Sunday (25 October 2015). 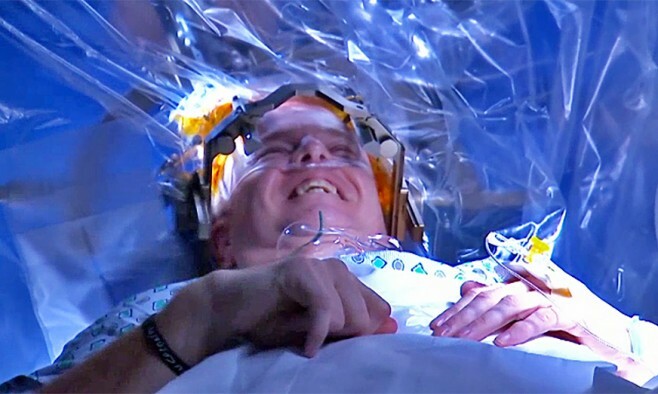 American surgeons delicately implanted electrodes into the brain of Parkinson’s patient Greg Grindley while he was awake in an operation called deep brain stimulation (DBS). The procedure went smoothly and the day after the surgery, National Geographic posted a picture of Greg Grindley sitting up in bed and smiling, on his road to recovery. According to Deadline Hollywood, a leading source of news in the US entertainment industry, viewer numbers peaked at 2.5 million during the course of its two-hour broadcast and #BrainSurgeryLive was the third most popular hashtag in the US during its final hour. The show aired in 171 countries, in 45 different languages, creating mixed reactions across the globe. From the sheer awe at seeing tremors caused by Parkinson’s suddenly stop, to the ethics of filming live in the operating theatre, there were undoubtedly many talking points. But was the show received positively or did it cause controversy? The live broadcast proved ethically problematic for some medical experts, leading to a lengthy debate in the US press. Dr Duke Cameron, cardiac surgeon-in-charge at The Johns Hopkins Hospital in Baltimore, has consulted for groups writing guidelines for live surgeries. He said in an interview that operating teams can be distracted by the filming and that commercial and promotional interests can compromise patient safety. Dr Art Caplan, head of medic ethics of the NYU Langone Medical Centre, discussed the ethics of ‘Brain Surgery Live’ on Washington Radio station WTOP. He expressed concerns that the show, with its production team of over 100 people, compromised the safety of the patient as the crew members might get in the way, or simply stand too close to the operation. 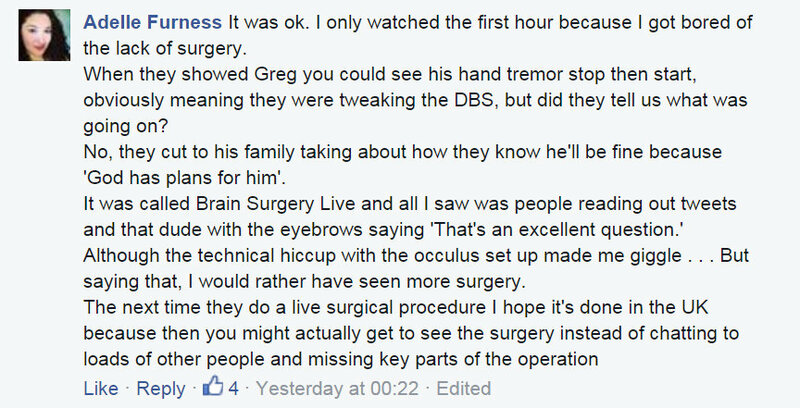 It’s difficult to predict how Greg’s condition may progress bearing in mind DBS is not a cure. However, it’s safe to say that it has raised awareness of Parkinson’s disease and DBS as a treatment method.